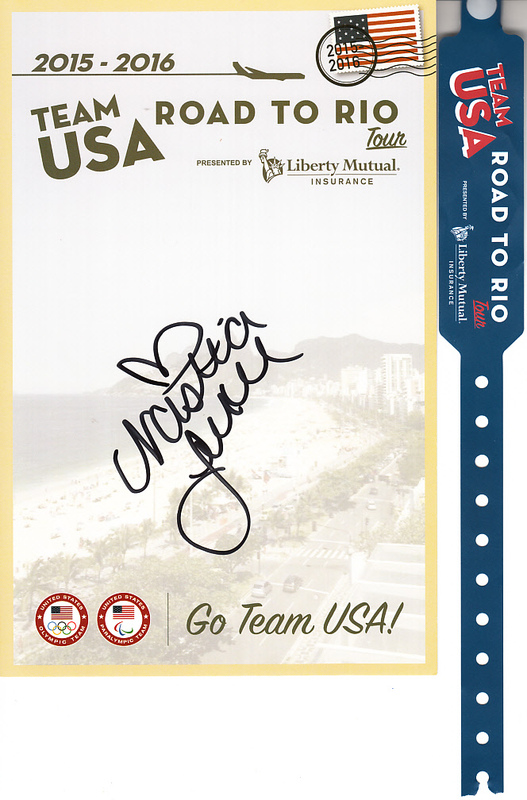 2015-2016 Team USA Road to Rio U.S. Olympic Team 5 1/2 by 8 1/2 inch card autographed in black marker by 2008 Olympic gold medal winning gymnast Nastia Liukin. 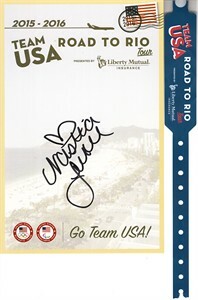 Obtained in person at the event, with photo and plastic wristband from the signing and certificate of authenticity from AutographsForSale.com. ONLY 4 AVAILABLE FOR SALE.